Greet the new arrival in style with this quality Made in USA basket, finished in blue or pink from Liberty Tabletop. The perfect place to store keepsakes or a stylish way to carry baby items while venturing out. 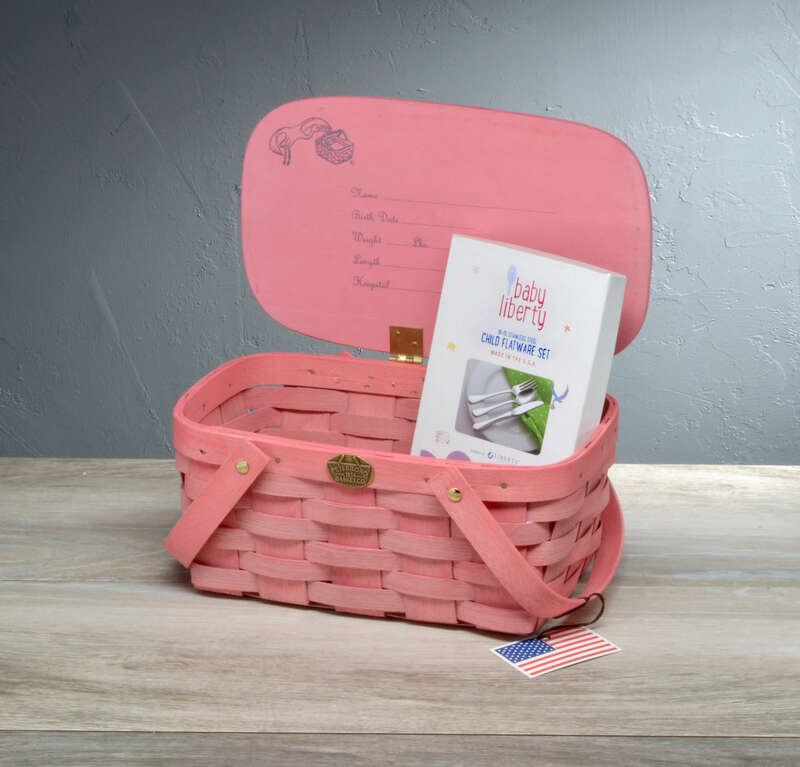 Our baby baskets can be personalized by recording the newborn’s information on the inside of the lid. Baskets may be purchased with various options adding on our 100% Made in USA baby/child flatware, making it the perfect shower gift!